My Ántonia is an adaptation of Willa Cather's novel of the same name, and tells the story of Ántonia Shimerda, a Czech immigrant who comes to Nebraska during the 1880s. The childhood memories of narrator Jim Burden are woven together with the struggles of his beloved neighbor, the newly arrived immigrant girl from Bohemia. The story of their ongoing friendship outlines the determination, hardship, and resilience of Great Plains life at the turn of the 20th century in this enchanting American classic that is a tribute to the human spirit. 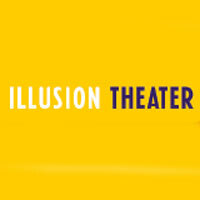 See it when Illusion Theater brings it to the stage in Minneapolis.